Welcome to the Homepage of The Washington Travel Clinic, the private practice of Ziad Akl, MD. Dr. Akl is a physician specialized in Infectious Diseases and Travel Medicine. 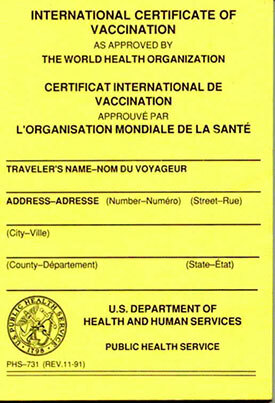 The Washington Travel Clinic serves the DC metro area and offers all travel vaccines. What makes your experience with us unique? Our charges are clearly listed in the Pricing section. We do our best to accommodate your schedule. Online appointment scheduling available. No holding on the phone. Conveniently located downtown right next to the Farragut metro stations. We are green and fully electronic. No paperwork or questionnaires to fill out and no need to bring a prescription with you. Dr. Akl will answer any questions prior to your visit. In addition, you can reach Dr. Akl easily by email. You are seen by a physician specializing in Infectious Diseases and Travel Medicine. Dr. Akl personally administers the necessary vaccines during the same visit. We understand needle anxiety; that’s why you are seen in a soothing atmosphere. In case of an emergency, you can reach Dr. Akl 24/7 by phone. If you need a consultation after your trip because of illness, Dr. Akl is available to see you on short notice. The regular travel visit fee is valid for one year during which requests for prescription refills are discounted. Prescription refill requests can be easily made online. You can connect to our guest Wi-Fi while you wait. Advice, preventive care and immunizations to traveling individuals and families according to CDC recommendations. Vaccines for school, work and immigration purposes. Prescriptions for the prevention of Malaria, Altitude Illness, Motion Sickness and Travelers’ Diarrhea. Pre and post-travel physical exams and health certificates. Consultation and care for patients with suspected infectious diseases or fever. Consultation for patients with mysterious illnesses. We are one of few centers authorized to provide the yellow fever vaccine, which we record on an International Certificate of Vaccination. The vaccines we offer are listed in the Topics section, and our cost structure and vaccine prices are clearly posted in the Pricing section.